The word “burden” is translated in the Bible margin, “what he (Jehovah) hath given thee.” The saints’ burdens are God-given; they lead him to “wait upon Jehovah,” and when that is done, in the magic of trust, the “burden” is metamorphosed into a pair of wings, and the weighted one "mounts up with wings as eagles. To do. Your life is far too hard. To weary, troubled, fretting mind. I saw at once my great mistake. A weak soul lacking faith in God. Await all those who dare to rise above. For faith grows but by exercise in circumstance impossible. Save what is underneath the weight. We mount our loads, and rest in Him. Purchase your own copy of this devotional. 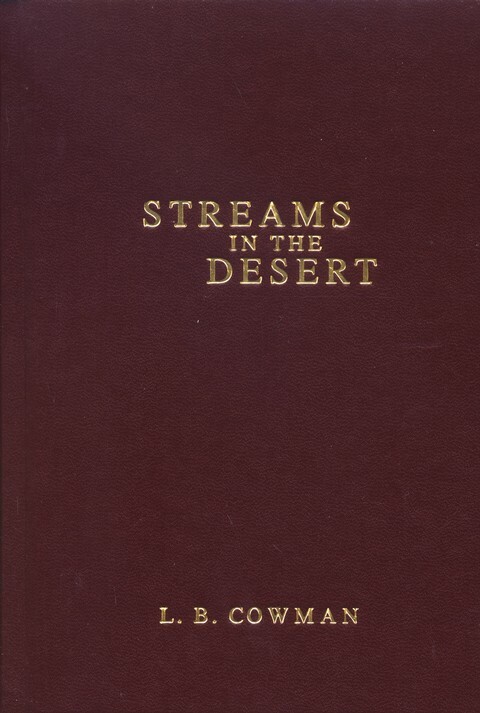 Or, catch up on Streams in the Desert in our Archives.